It looks like Chris Brown is officially back on the market. Chris recently took to his Twitter account to put his fans on notice he and long time girlfriend Karrueche Tran are no longer together. The two have shared more down than good moments, steaming from an on going love triangle featuring singer Rihanna. 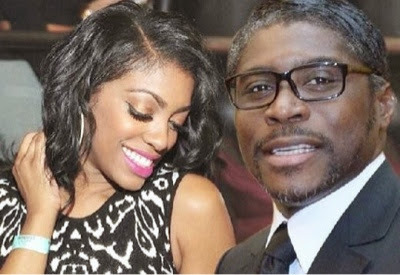 If you thought Porsha Williams was at home crying her eyes out because she received nothing in her divorce settlement from Cordell Stewart, you can think again. Porsha has herself a new boo-thang, a very, very, very rich (yes, that was in my Nene Leakes voice) boo-thang who happens to be the son of an African dictator, known for human rights violations. Are you a fan of the Kardashian collection? Yes? Well now your toddler can dress like a Kardashian too. Teaming up with Jupi Corp, Kim, Kourtney and Khloe presents their new kid line available at BabiesRUs. The collection consisting of one pieces, two piece sets, jackets and dresses will be available for girls up to 24months March 15th. 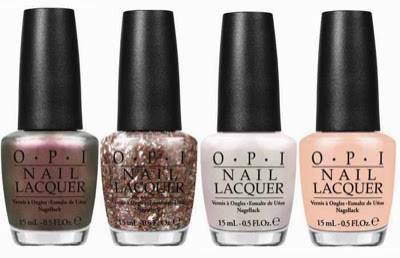 Nail lacquer power house O.P.I has launched an limited edition eight shade nail polish collection inspired by the new Disney film Muppets Most Wanted which hits theaters March 21st. 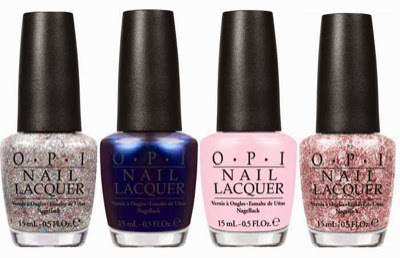 The collection contains sheer pinks, glittery goldes, nudes to deep, sapphire blues. 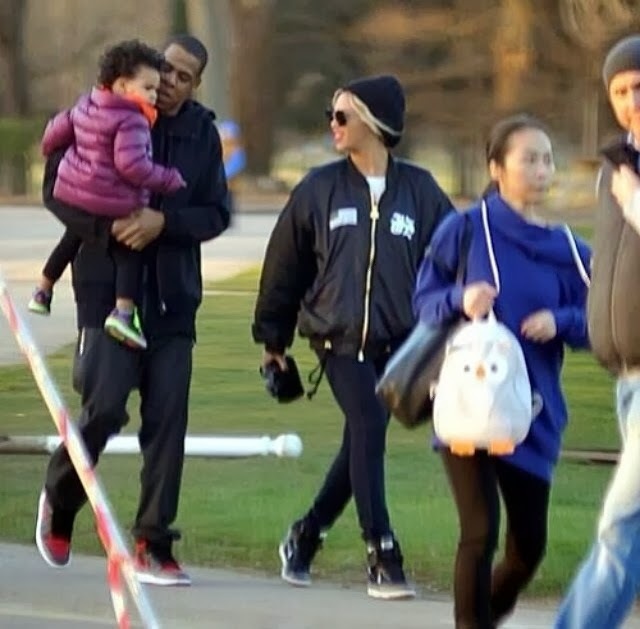 Jay-Z and Beyoncé refusing to attend Kanye's wedding? 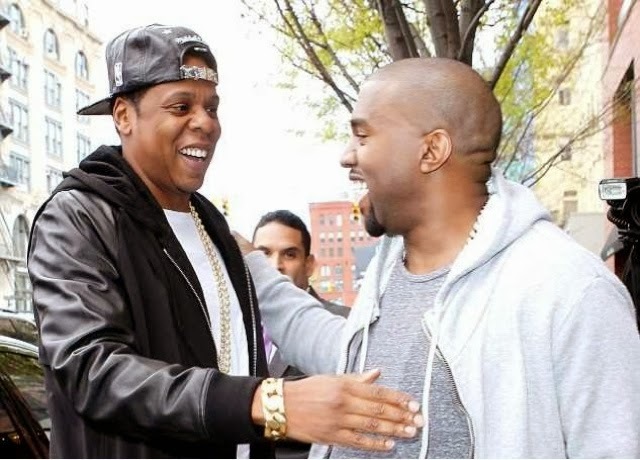 The relationship between Jayz and Kanye West is pretty evident, so it comes as no surprise Kanye wants Jay to be the best man during his highly anticipated wedding to Kim Kardashian later this year in Paris. According to the dailymail UK, Hov is declining the honor. He doesn't want Beyoncé or baby Blue in attendance due to the reality tv cameras. Her marriage might currently be on the rocks but that's not stopping Keyshia Cole from getting a coin. 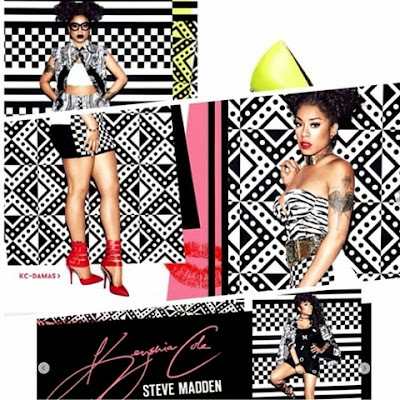 The trust and believe singer took to her Instagram account to share the LookBook to her summer shoe collection with Steve Madden. If you're into prints, straps and color you're sure to find a go-to shoe in the mix. More photos after the jump. Last month rapper, TV host Bow Wow and Love & Hip Hop: NY's Erica Mena co hosted 106 & Park together where things got really steamy as the two tongued each other down on live television. Now it seems they've become the best of 'friends' or possibly more. Get the details after the jump. Debuting her new single, 'The Empress' off her highly anticipated full length project Viva La Punnany, slated to drop this month, Bonnie Blunts doesn't care who got now because she got next in the rap game. Taking control of the beat, Bonnie flows effortlessly and stamps her spot as future music royalty. Listen to the track below ..
Singer Ashanti was on promo-duty when she took a visit to power 105's The Breakfast Club to promote her new album 'Braveheart'. It's been six years since her last album and in the interview Ashanti dished on leaving Murda Inc due to a falling out with Irv Gotti, going independent after turning down seven major labels, her relationship with ex boyfriend Nelly and beef with Tae Heckard and Keyshia Cole. Watch the interview in full after the jump. Braveheart in stores today! SPORTS - "If you haven't been paying attention, Maya Moore is pretty good at winning. High school championships (3 state titles). College championships (2 with the University of Connecticut). WNBA Championships (2 with your Minnesota Lynx). Gold Medals (2 for the USA). A EuroLeague Championship (2012). And now Maya Moore can add her second WCBA Championship in as many years with Shanxi Xing Rui to her trophy collection. Shanxi Xing Rui claimed its second consecutive WCBA title by closing out Beijing, 82-73, on Tuesday in Taiyuan. Moore finished with 39 points, 10 rebounds, six assists, six steals and two blocks in the decider, bringing her four-game Finals averages to 43.3 ppg (60.2% from the floor, 94.4% from the FT line), 9.0 rpg, 4.3 apg, 5.75 spg and 1.00 bpg." 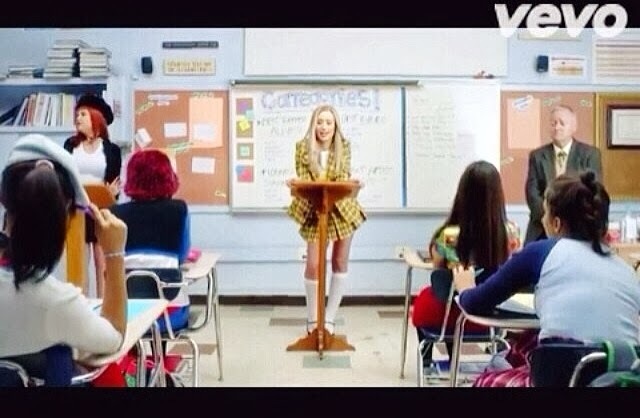 Australian rapper Iggy Azalea takes it back and pays homage to Clueless in new video 'Fancy' featuring Charli XCX. Sporting the same canary yellow tartan famously worn by Cher (Alicia Silverstone) in the 1995' classic. Iggy and her girls took over the same high school in Los Angeles as the film and sported the iconic costumes and set pieces. "As if!" Check the video after the jump. Grammy award winning songstress Mya is back and ready to take the industry head on, covering the March/April issue of BE Entertained Magazine. Just in time for a 'Spring Fling' Mya dishes on past romances, her style and the industry. Rihanna made sure she to make her presence felt while attending Paris Fashion Week. The pop star was decked out in the best of the best like Christian Dior, Balmain, Lanvin and more. 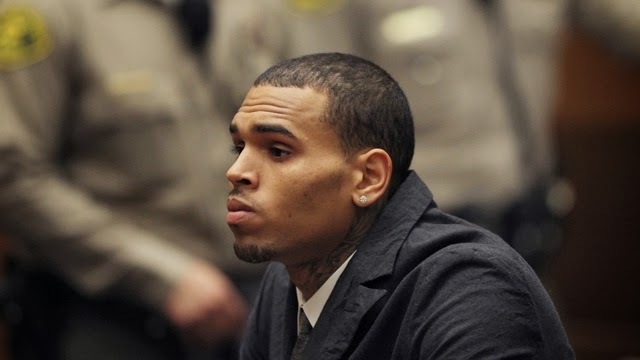 Fans were rejoicing once Chris Brown completed his stint in rehab for anger management. The R&B star had seem to be getting his life back on track and looking healthier than ever. When showing up to court on Friday for a probation hearing C.B was ordered back to rehab until April and was diagnosed with a bipolar disorder, severe insomnia and Post Traumatic Stress Disorder. "Mr. Brown became aggressive and acted out physically due to his untreated mental health disorder, severe sleep deprivation, inappropriate self-medicating and untreated PTSD." Due to his diagnoses Chris is taking medication and has learned various relaxation exercises, according to the letter, and he's tested negative for drugs, including weed, during his stay. He also get's up at 5am every morning, works hard and has been great with his community service responsibilities. The facility writes, “Mr. Brown became aggressive and acted out physically due to his untreated mental health disorder, severe sleep deprivation, inappropriate self-medicating and untreated PTSD.” They never explain the cause of the PTSD. The letter also says Chris was diagnosed with Bipolar II. Chris has learned various relaxation exercises, according to the letter, and he’s tested negative for drugs, including weed, during his stay.